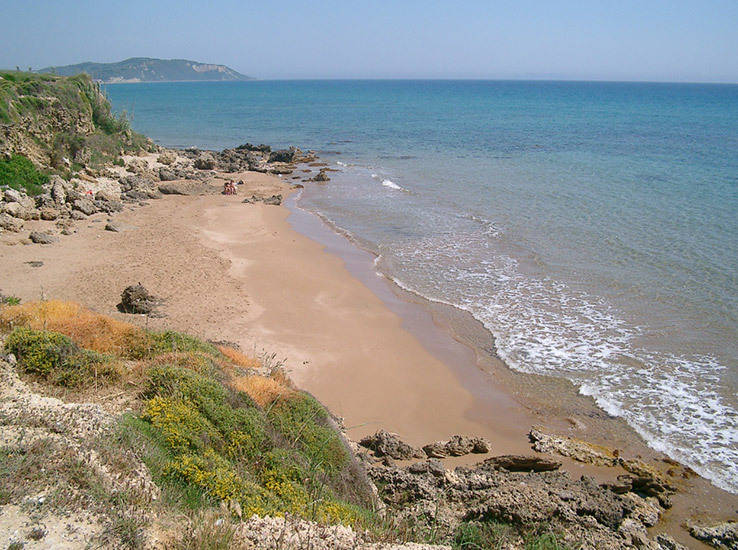 Beaches are ordered from the Northern to the Southern ones of Corfu island. 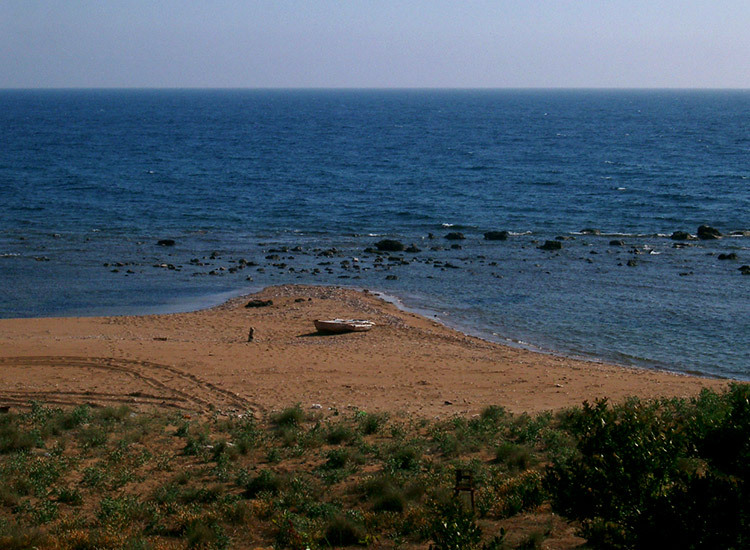 A lonely beach, maybe for this reason it has became a tolerated nudism bay. It’s also one of the best beaches for snorkeling. 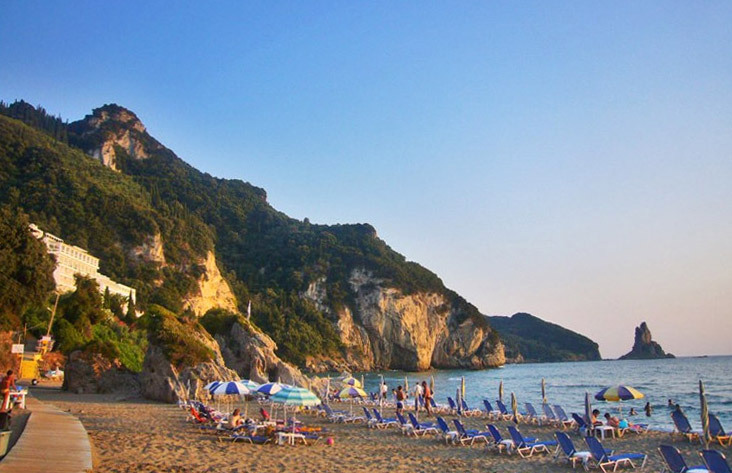 The sand of this bay is so beautiful that make this beach one of the most popular of Corfu island. The sea is not very deep and it’s perfect for small children. 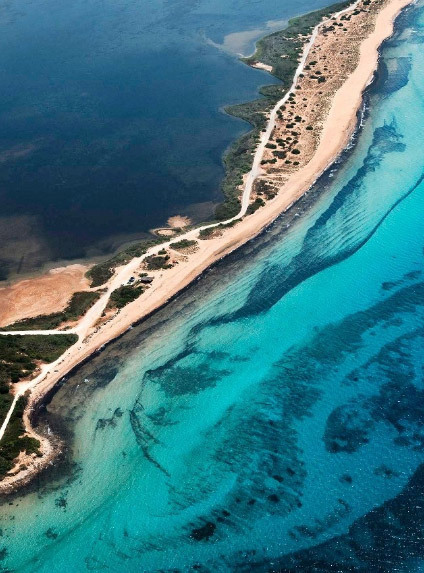 The name of this beach is Kontogialos, but it is also well known as Pelekas bay because in order to come here you have to pass this traditional village. 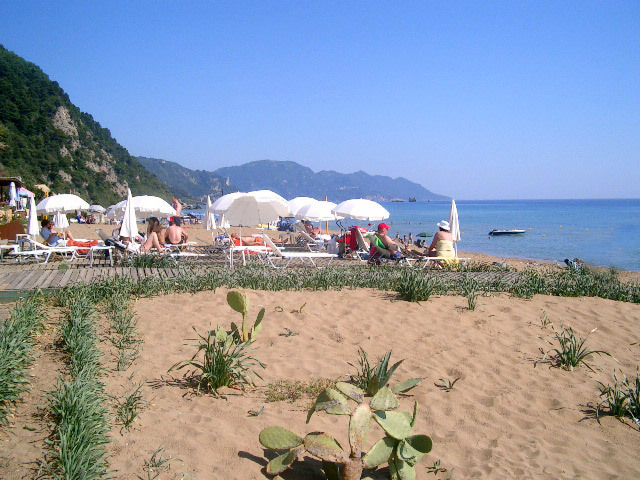 place, a sandy bay and not very deep sea. 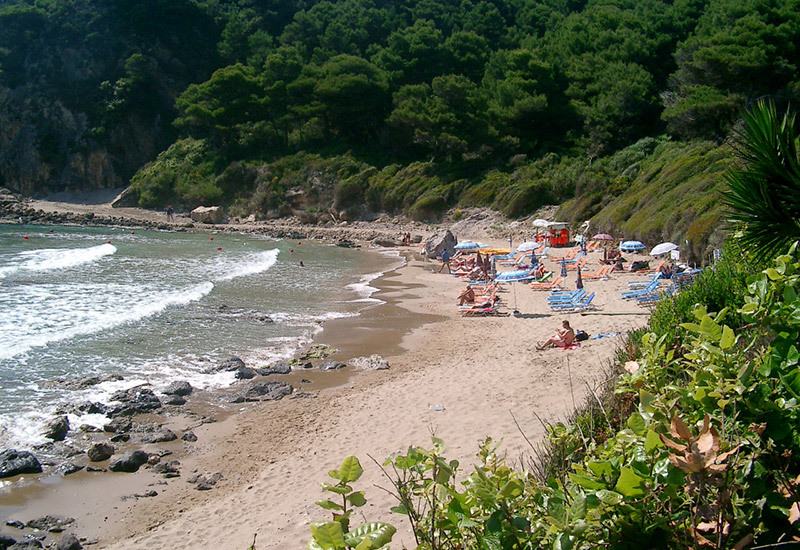 Small and nice bay, surrounded by Mediterranean nature with trees that grow very close to the beach. 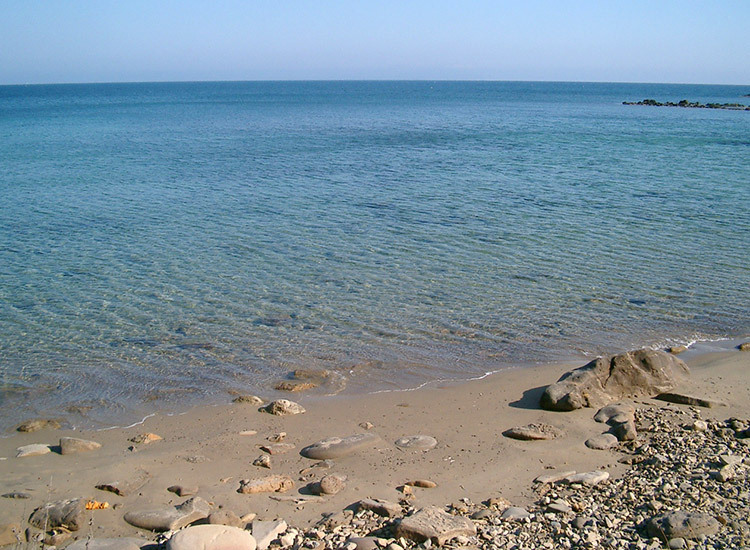 It is a very quiet beach with the bottom of the sea sandy and rocky. 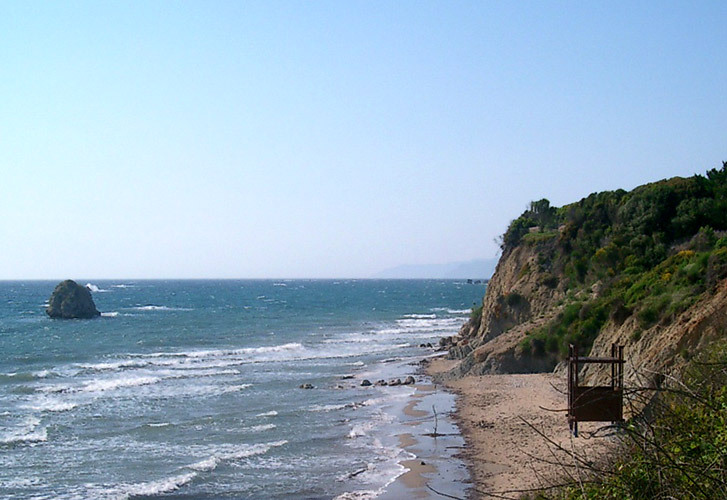 When you reach the sea you can see on your right the beach and on your left a small pier with a strange shape. In front of the beach some rocks come out from the sea. 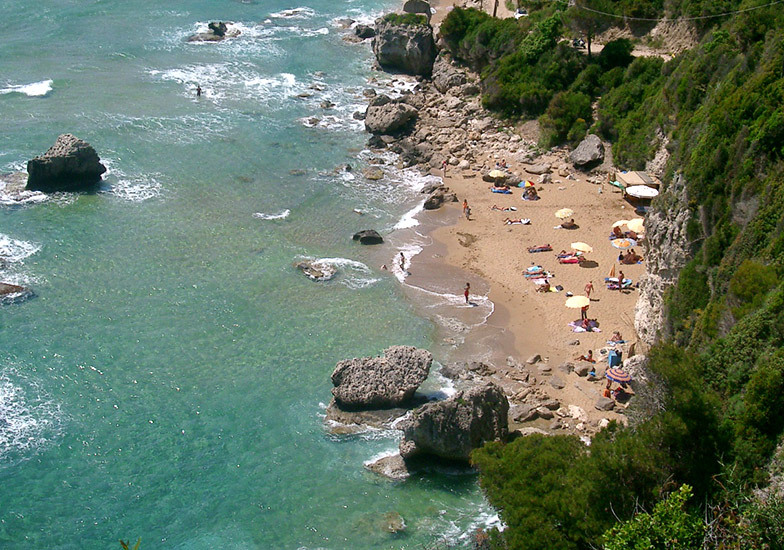 Aghios Gordios is one of the biggest bay along the West coast of Corfu island. public transport such as buses leaving from Kerkyra town. 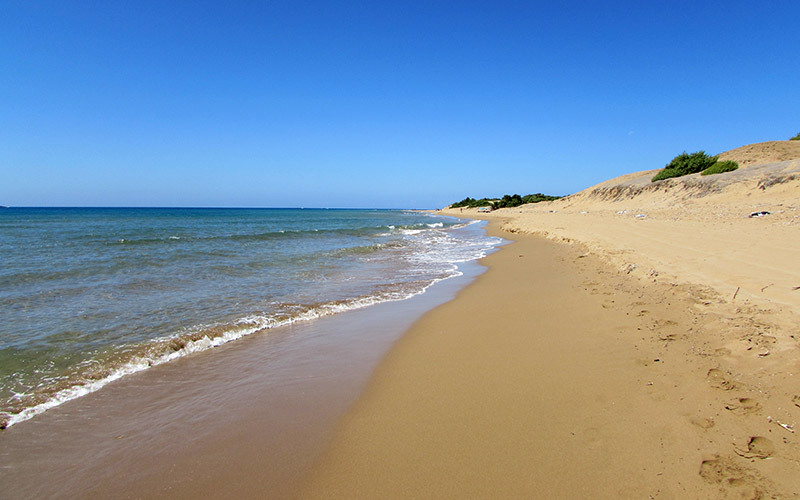 The beach is extremely long with marvelous sand and is well equipped for tourists. 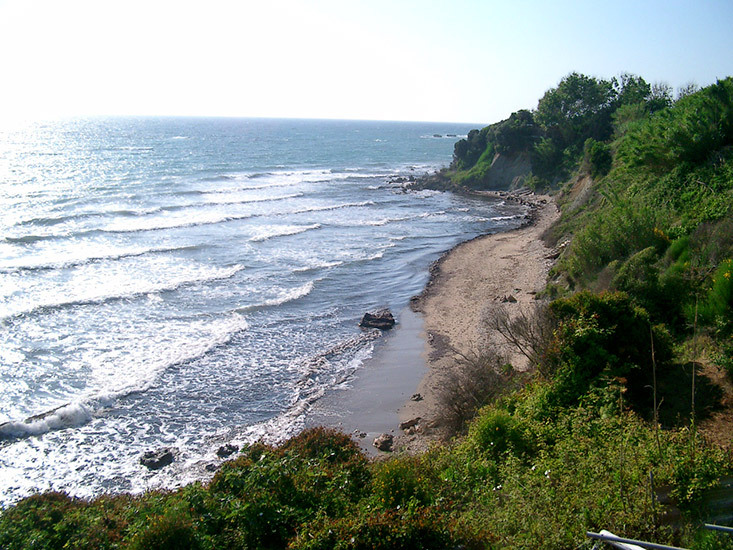 This place is perfect for those who like to walk along the beach and it has not very deep sea. 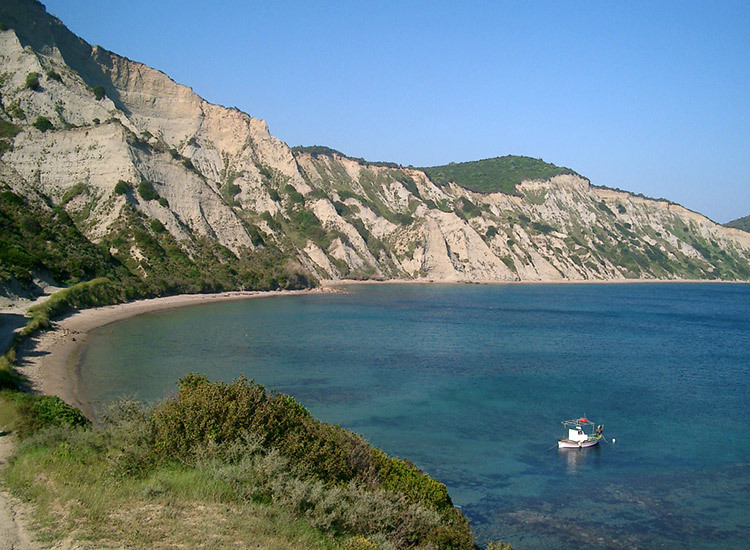 Very particular is “Ortholithi”, a big rock coming out from the sea in the South part of the bay. 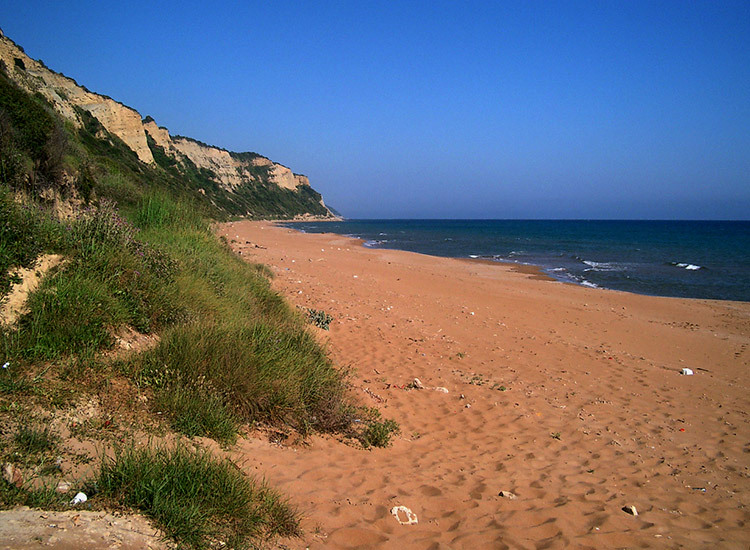 This is the first of many beaches placed one after the other till Korisia lake. During the afternoon it’s a little bit windy. Very similar to Paramona beach but smaller and more windy. In front of the beach, in the sea there are some rocks. 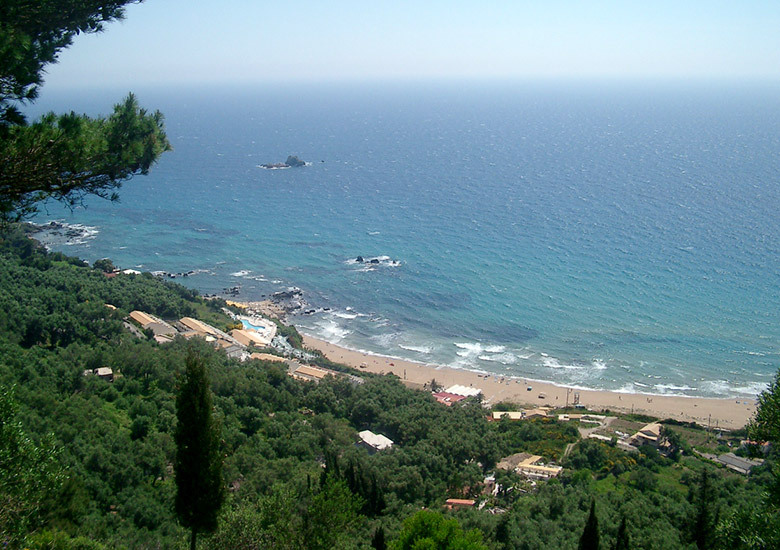 This bay is really small and does not offer anything special, but coming here you’ll pass through very nice olive trees forests. 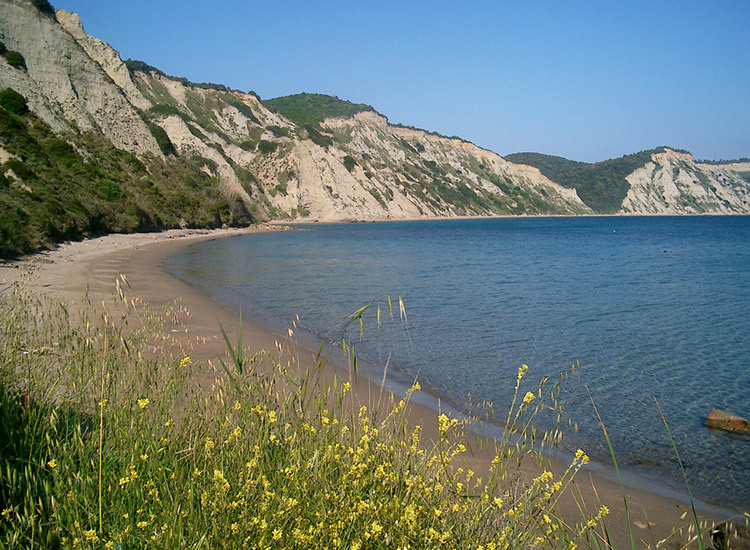 You can consider this bay as the beginning of the nearest beach of Halikounas. Very often is a windy place and the sea is not very deep. None, but if you have windsurfing equipment bring it! Very particular as you’ll have the sea in front of you and the lake just behind you. You don’t find a lot of people even in the high season and there is often a lot of wind. Very flat and not deep sea. Near the South part of Isou there are some tourist structures and a little pear. 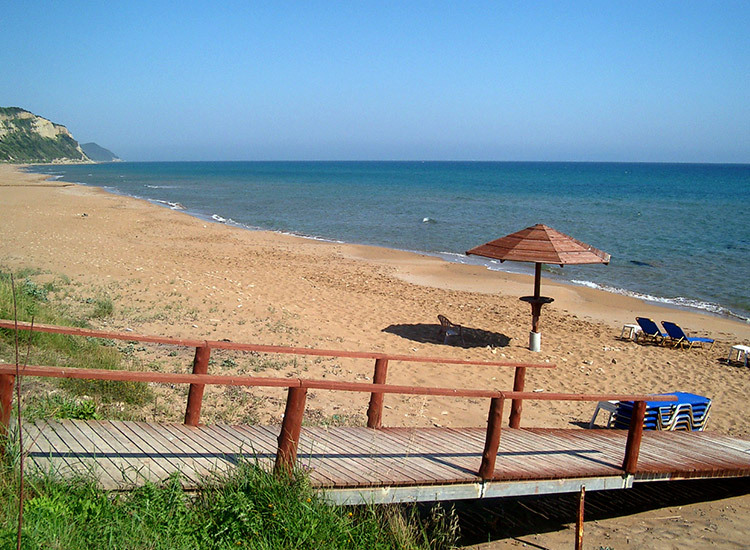 Aghios Georgiou is a small village developed along the sea that offers different sandy beaches equipped for tourists. 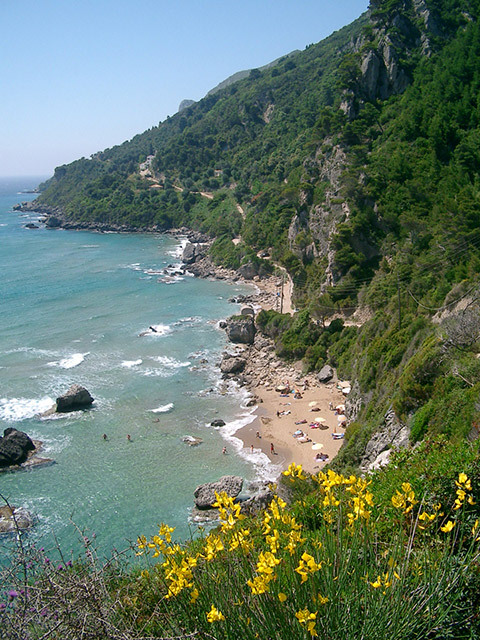 All the beaches are bordered by the coast road, but they have also privacy as they are surrounded by huge vegetation. The sea is not very deep. 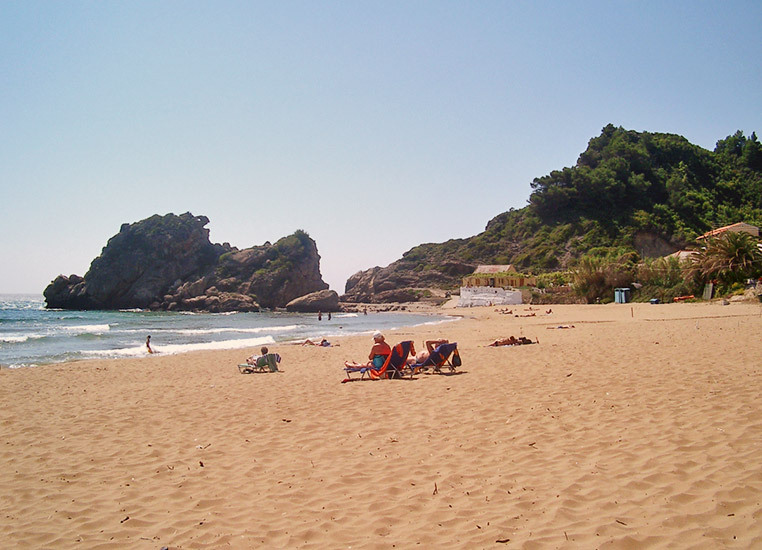 Golden beach is a sandy bay bordered with rocks on both sides. 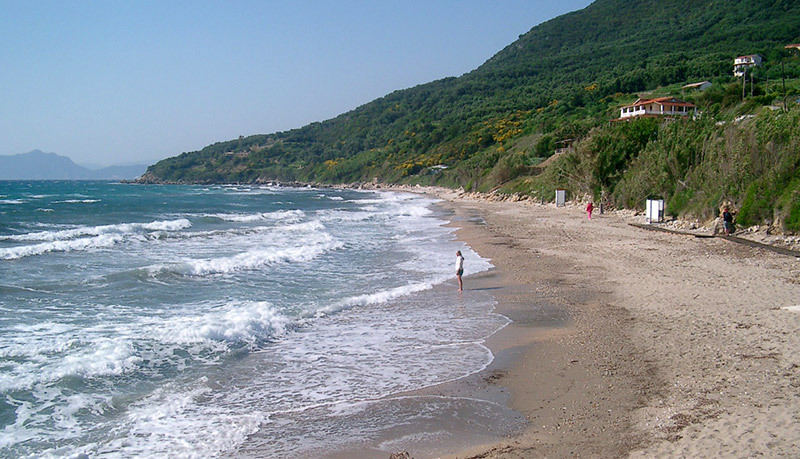 This beach is very close to Aghios Georgios one and it’s very similar to it. 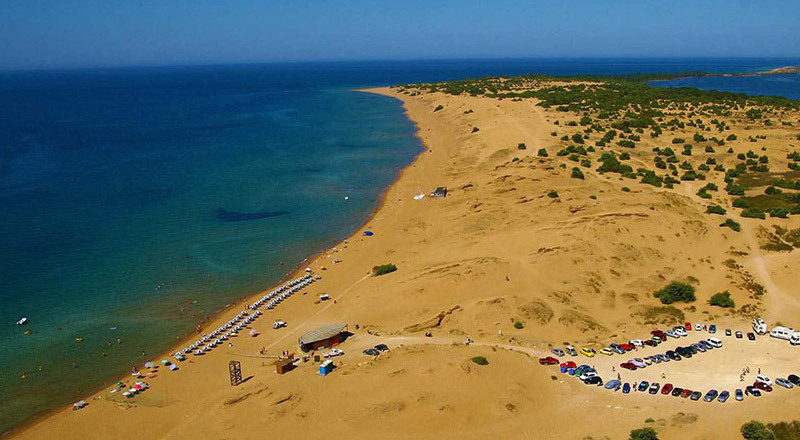 Like the other bays in this area, also Lakkies beach is sandy with not very deep sea. Ideal for any kind of age and equipped with tourist facilities. This bay is very long and in the North side there are some rocks and a marvelous clean water. You just need to walk a little bit to find privacy especially during the high season. 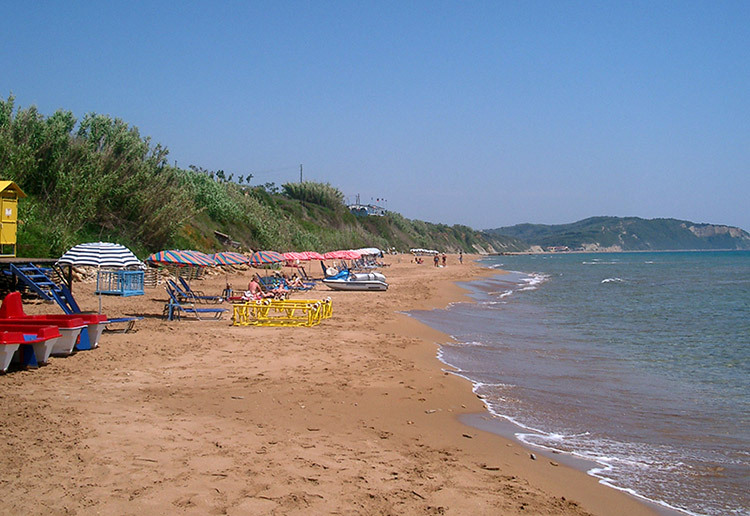 Some houses and restaurants mark the end of Marathia beach and the beginning of Aghias Barbara. The beach is very wide and the sea is not deep. 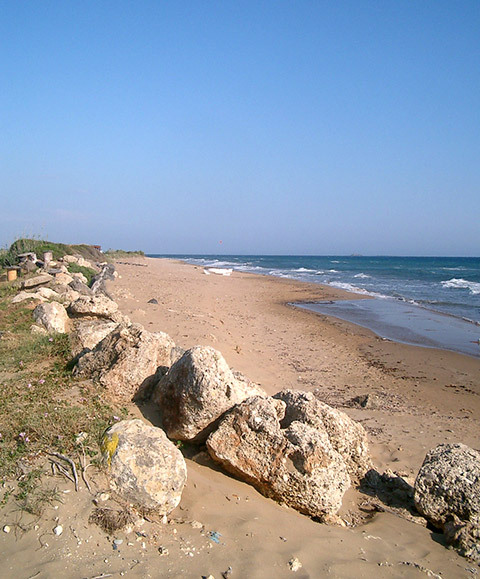 Gardeno beach takes its name from a small river that flow into the sea just in this part of coast. 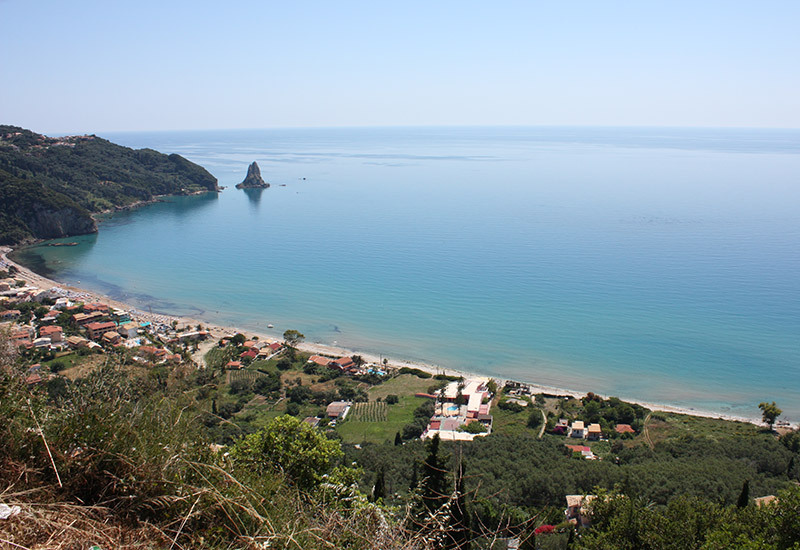 Coming to this bay you will pass through the nice ancient village of Vitalades. 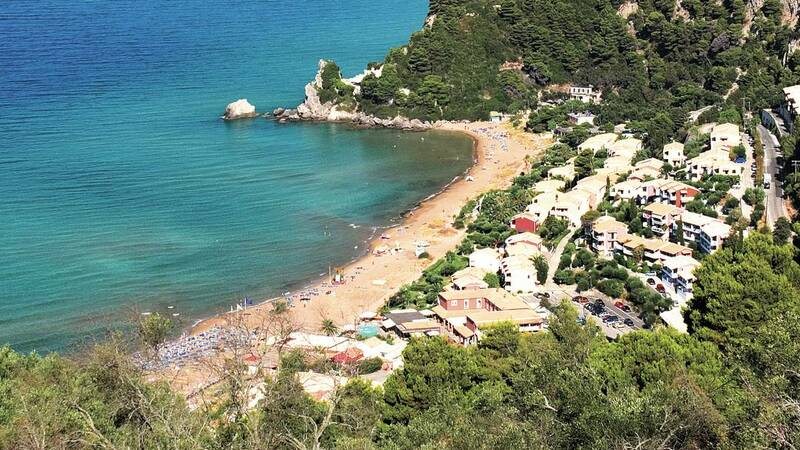 This bay is the prosecution of Gardeno beach and it is very similar to it. There aren't many tourists because it's not so easy to reach and it is far from tourist structures. 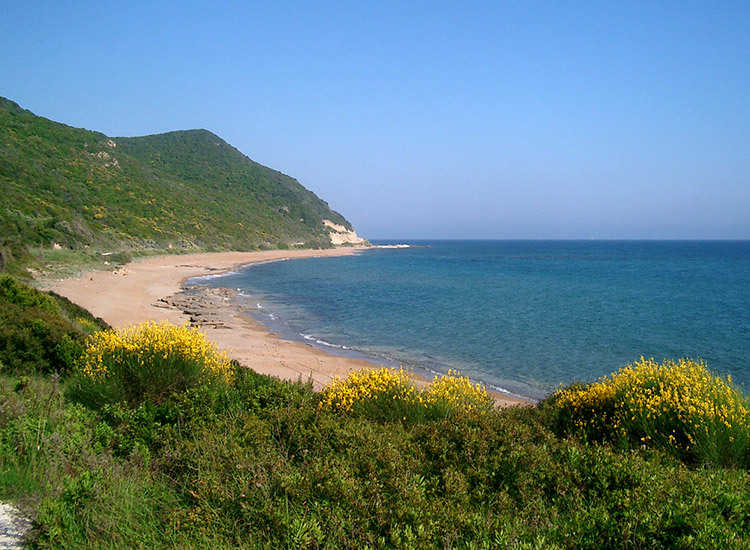 Under the name of Aghios Gordios of Notos you will find two different and lonely beaches. The first one is characterized by a lot of small rocks coming out from the sea and it is ideal for those who like snorkeling. The second one is Southern and is really stunning with a marvellous clean water. 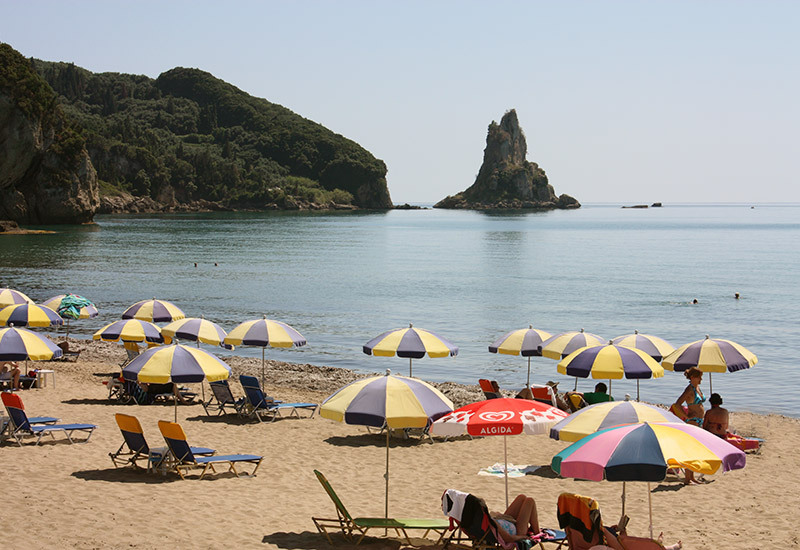 This is the Southern beach of Corfu. To reach this bay you must have a jeep as the street is in very bad conditions. 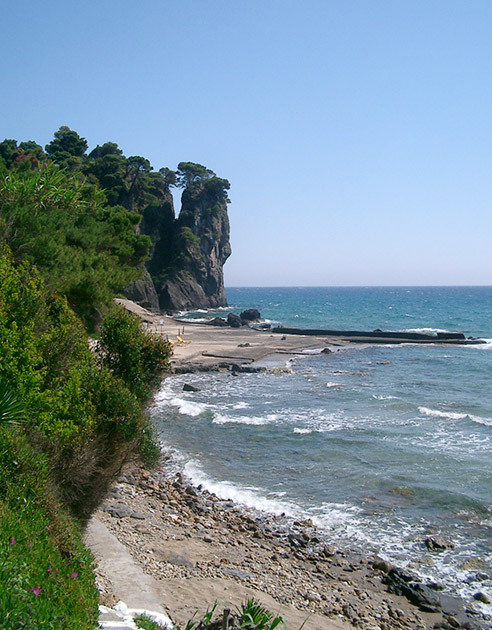 From Aghios Gordios of Notos you have to proceed along the coast road to reach this natural unspoilt paradise. 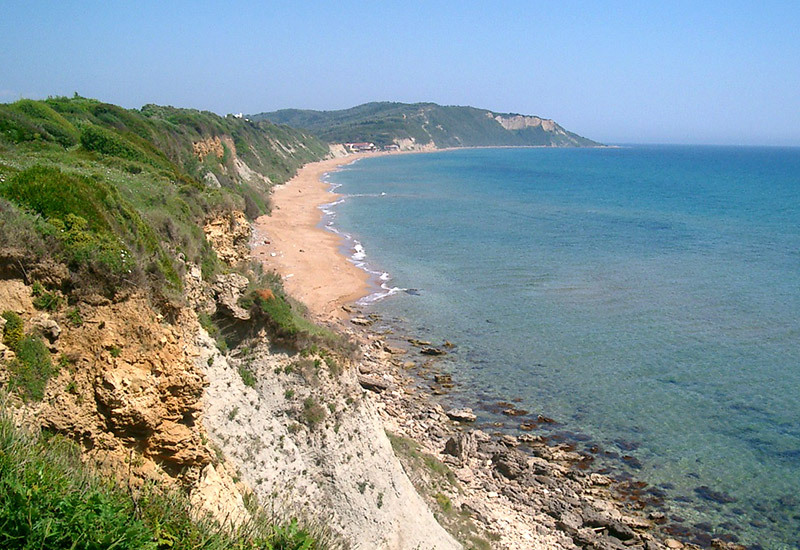 Here you’ll find a peaceful place also in August with an extremely clean sea.